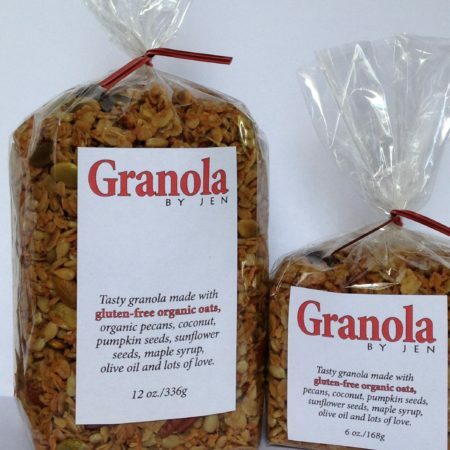 Read the Granola by Jen/Holy Macro Foods story (it’s short). 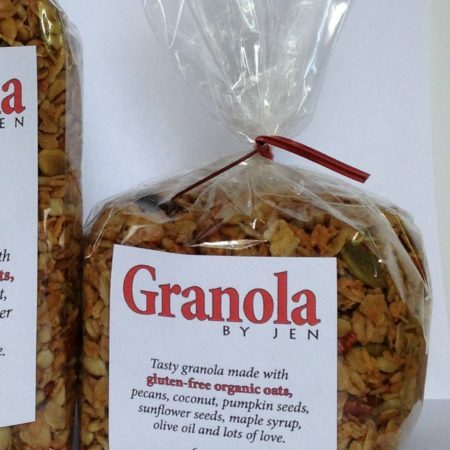 Can’t get to a farmers market or one of the stores where Granola by Jen is available? No worries, you can get it right here! It’s Not Just Me That Likes It! You are the Goddess of Granola. I schedule my doctor’s appointments on Monday afternoons so I can be near the Green (in Stratford) and get some granola. I have dreams about your granola.